A giant Norway Spruce from State College, Pennsylvania, has been selected as the Rockefeller Center Christmas tree. Here's a closer look at the majestic tree. Ladies and gentleman, the 2017 Rockefeller Center Christmas tree has been chosen. The Norway spruce, which will be the 86th tree to grace the Plaza for the annual weeks-long display, will come from State College, Pennsylvania, Rockefeller Center announced Monday. Details on the tree's height and owners weren't immediately released. 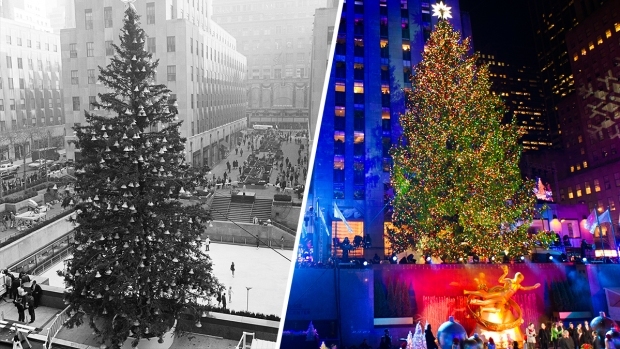 It will be cut down on Thursday, Nov. 9, and arrive at Rockefeller Center on Saturday, Nov. 11. After being adorned with more than 50,000 multi-colored lights and crowned with the iconic Swarovski star, the tree will be illuminated for the first time during a live television broadcast on Wednesday, Nov. 29.